Antiques and collectibles has become a favorite pastime of people visiting the Lake Winnipesaukee area of New Hampshire as well as for the locals. It's fun to stop in the various shops and see what they have. It can even bring back memories of when you were a child. Perhaps your grandparents had a particular item in their home and you remember it vividly. 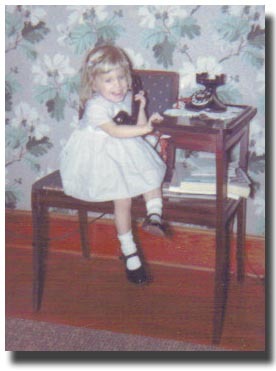 When I was young, I loved to sit on this special telephone chair with an attached table and "talk" on the old fashioned phone. I can remember many old pieces of furniture and other things that my grandparents had. At the time, they just got rid of things and upgraded to what was in fashion. We certainly didn't know that they could be worth something. Even now, I'm probably doing the same thing. I get rid of the old worn out stuff and buy something new. Many of the toys my kids play with could be valuable in years to come. I just let them play and enjoy the toys. If they're still in good condition, they can pass them on to their kids. If you like to look for great antiques and collectibles there are plenty of places in the Lake Winnipesaukee region of New Hampshire. I've listed some around the area but there are many more throughout the state. Many of these shops carry period furniture, accessories, glassware, post cards, textiles, decorative arts and much, much more. If you're interested in building up a collection, many of the antique dealers will share their knowledge and experience. To get started you can begin browsing the local New Hampshire shops. Also buying a book about antiques will help you identify marks on any of the pieces. Once you have a little background and knowledge, you should have a more enjoyable time shopping at places that sell antiques, yard sales and even the Internet. As I started researching about antiques, I discovered some basic information to help me out. Once you learn some of the basics, it's time to start the browsing process. Whether you're a pro, casual antique shopper or just starting out, I have listed some different antique shops in the Lake Winnipesaukee area of New Hampshire to help build up your collection.